Mrs. Dash recommended I try Sunset Foods, a wonderful local chain of upscale grocery stores that I’ve worked near and shopped at in the past. My wife and I happened to be going to party in a far northern suburb that has a Sunset, so we stopped in one Saturday evening and I was thrilled to see they carried a full line of Mrs. 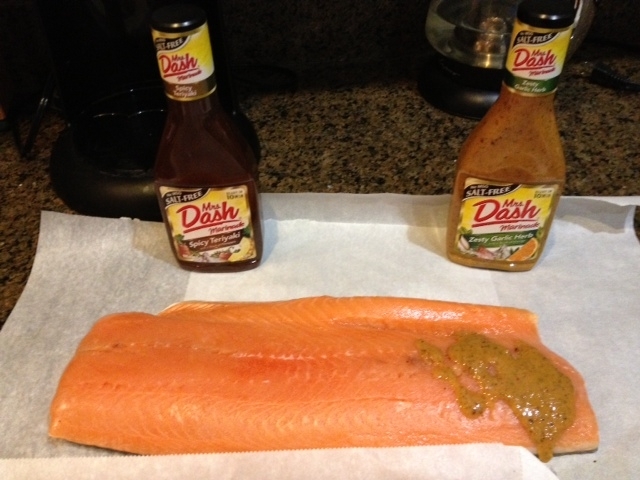 Dash salt-free marinades. Not only that, but the bottles on display the night I went included coupons on them to reduce the price. Needless to say, we stocked up, even getting some varieties I haven’t seen online. Thank you Sunset Foods for carrying these products and thank you Mrs. Dash (and your parent company) for referring me, and for recently re-launching this line of much-needed salt-free cooking sauces.